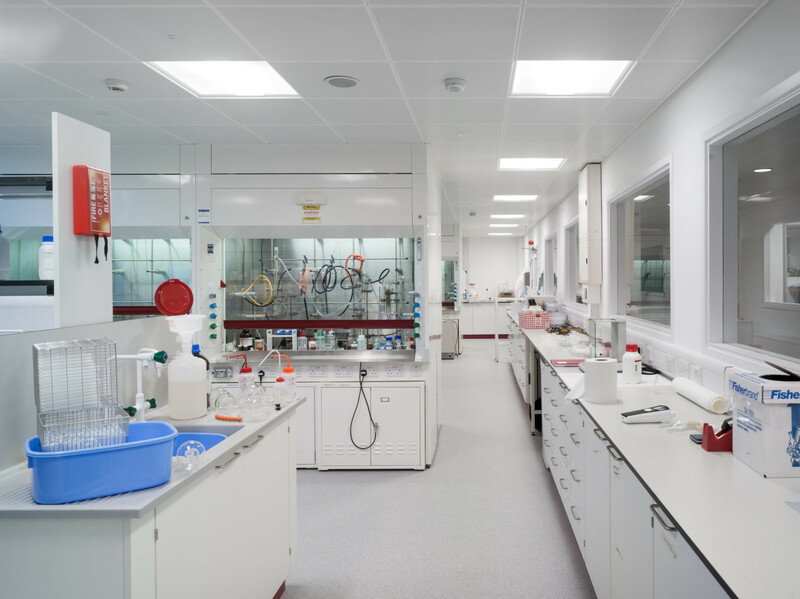 The works comprised the complete re-refurbishment of existing chemistry laboratories to support a new professor of organic Chemistry at the University. 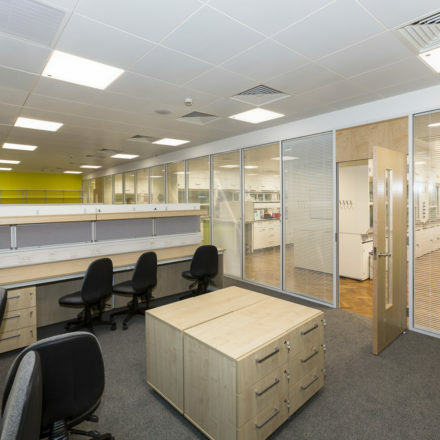 The scheme focussed on the installation of new fume cupboards, fume extracts, non corrosive benching, new write up areas, new ceilings, decorations fixtures and fittings and separate instrument rooms for specialist equipment. The work was carried out in the basement laboratory that had been unused for a number of months. Access to the basement was difficult but this was overcome through an existing window with a temporary staircase installed to provide safe access down into the basement. Specialists sub-contractors were required for installation of GRP ducting controlled by Phoenix Valves within a ceiling space which was already heavily congested with existing services. 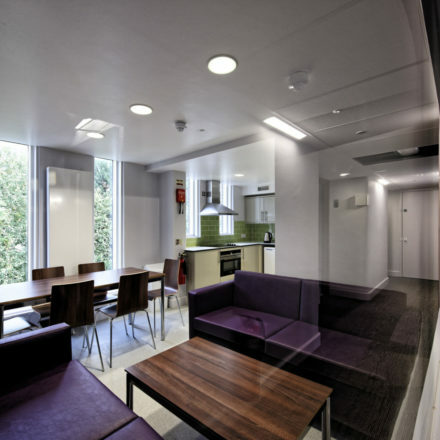 Specifications for the project were amended significantly with a large increase in the number of fume cupboards required. This meant that the placing of services and other equipment had to be amended to accommodate this. 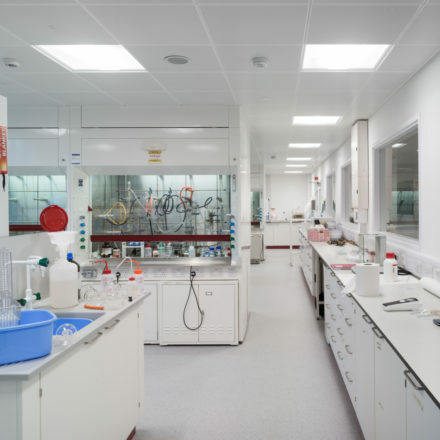 All equipment was carefully installed and the lab was finished to a fantastic standard ready for imminent use.